The Long Dell Inn was built circa 1849 as a private residence by a local sea captain named Reuben Jones. Captain Jones established his wealth during the California gold rush and retired at the early age of 32, choosing Centerville to be his home port. The architect designed the home as a classic Greek Revival, with plenty of rooms to accommodate Reuben’s wife Charlotte and their 4 children who were born here at the Inn. Captain Jones was the master Captain of two ships “Susan, the Schooner of Freetown” and “The Seabird”. Reuben and Charlotte named the home the Long Dell which refers to the property’s long and sloping yard. The home is now listed on the National Register of Historic Places as well as being in the Historic District of Centerville. 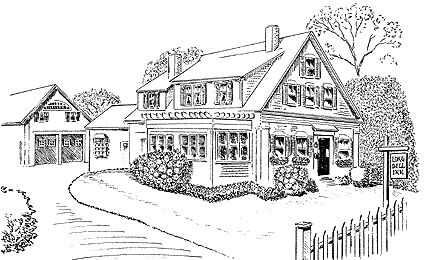 The Long Dell has operated on Cape Cod as a Guest House/Bed and Breakfast/Inn for almost 100 years.